~ On the way to Pullman as part of my WSU gig. Close to midwifing a couple of biotech startups this month and next. 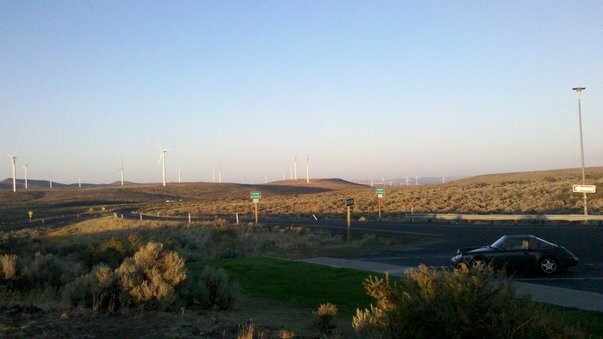 I rather enjoy the view of the wind turbines about 10 miles west of Vantage, part of PSE's Wild Horse project.